Recently, members of the Orbital ATK Defense Electronic Systems team gathered to celebrate a significant milestone with the delivery of the 500th Advanced Anti-Radiation Guided Missile (AARGM) to the U.S. Navy. 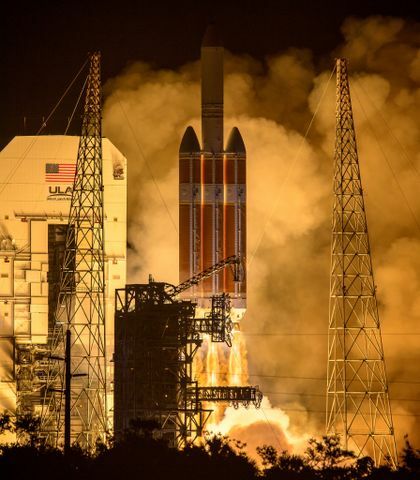 AARGM provides a key capability to U.S. and allied forces to defeat enemy surface-to-air radar systems. 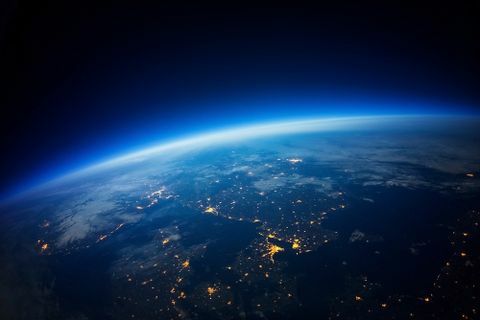 The occasion was marked with a ceremony at the Orbital ATK production facility in Northridge, California, on May 31. 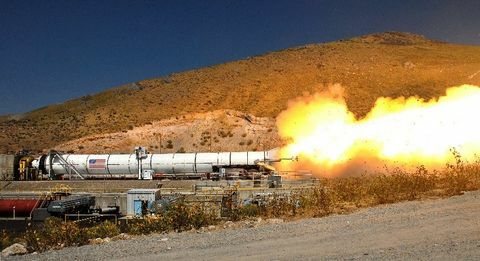 Attendees included 30th Congressional District U.S. Representative Brad Sherman, Program Manager for Direct and Time Sensitive Strike Weapons (PMA-242) Capt. Al Mousseau, and other Navy senior executives and industry suppliers. 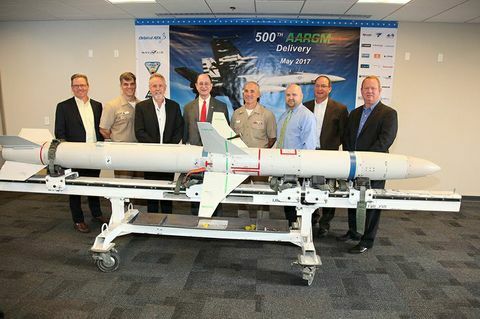 From left to right: Joe Oliva, Orbital ATK Defense Electronic Systems Division AARGM Program Manager; Anti-Radiation Missiles (ARM) Integrated Product Team (IPT) Lead Richard Gensley Deputy Program Manager, PMA-242; Cary Raltston, Vice President and General Manager of Orbital ATK's Defense Electronics System Division; Brad Sherman, U.S. Representative; Capt. Mousseau, Program Manager, PMA-242; Travis Smieja, Office of the Chief of Naval Operations, N98 Weapons Requirements Officer; Stoney MacAdams, PMA-242 Deputy; Gordon Turner, Vice President of Business Development for Orbital ATK's Defense Electronics System Division. 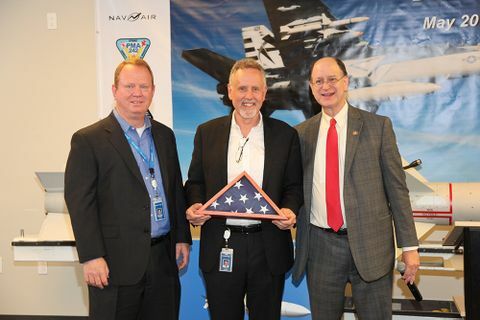 Left: Gordon Tuner and Cary Ralston present U.S. Representative Brad Sherman with a ceremonial U.S. flag. 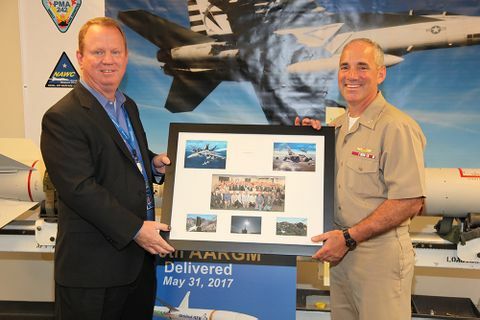 Right: Gordon Turner presents Captain Mousseau with an AARGM memento. 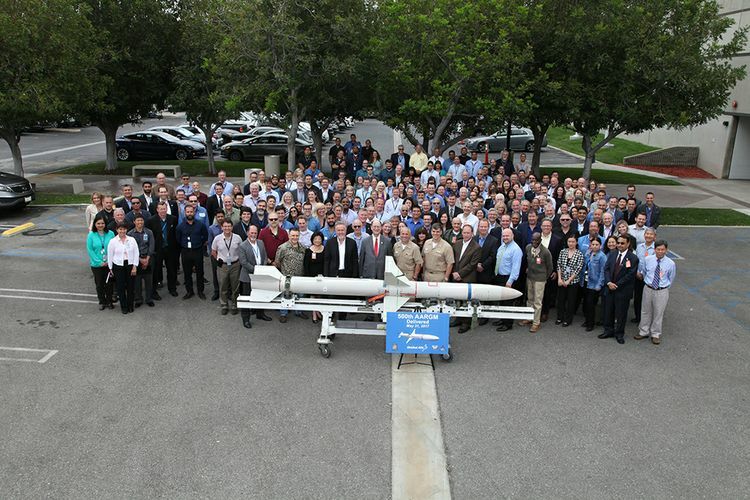 Members of the Orbital ATK Defense Electronic Systems team gather with industry suppliers, local elected officials and U.S. Navy senior executives for a group photo after the celebratory event in Northridge, California.